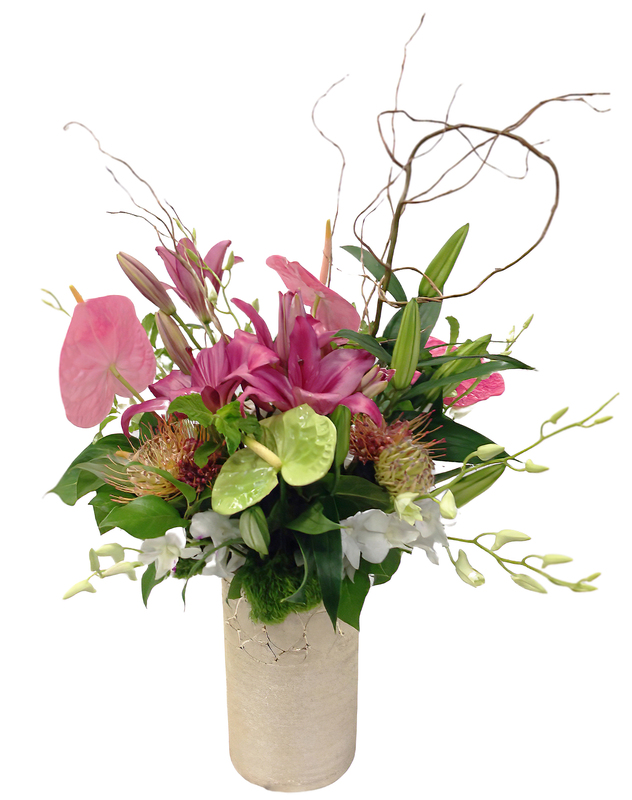 This great ceramic vase is full of organic lines and bright colors with the kiwi branches, pink and white anthurium and the bright orange pincushions. It's accented with some silver wire and spheres for a truly unique look! Approx. 15" in height and similar in width.